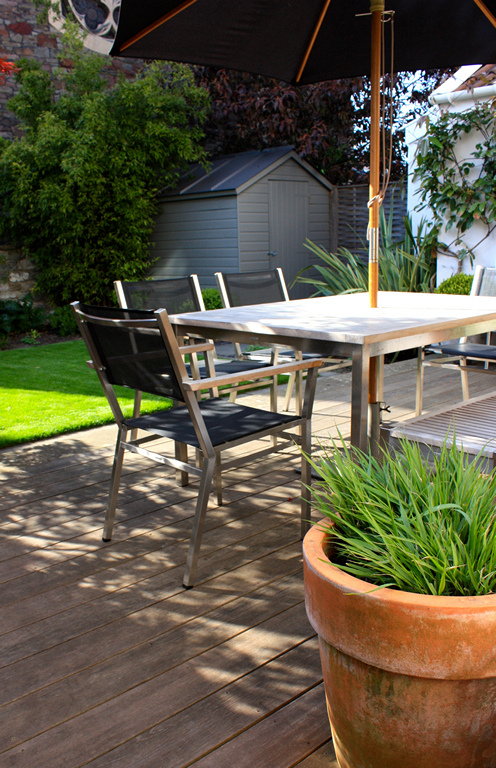 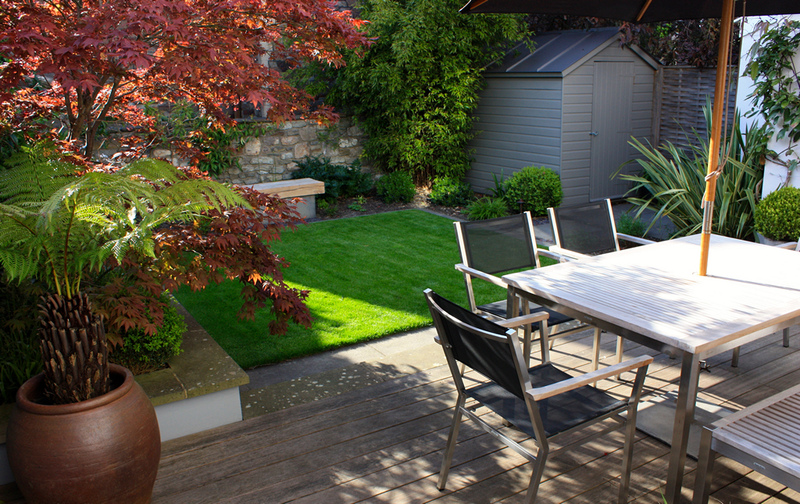 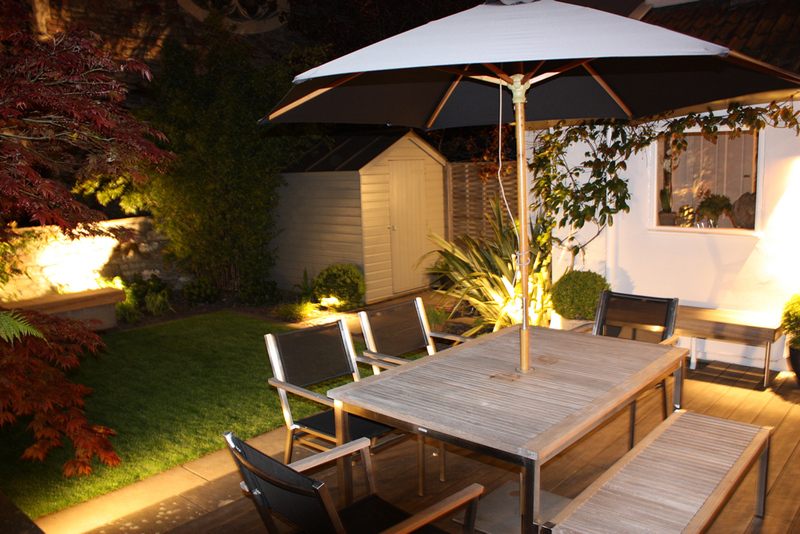 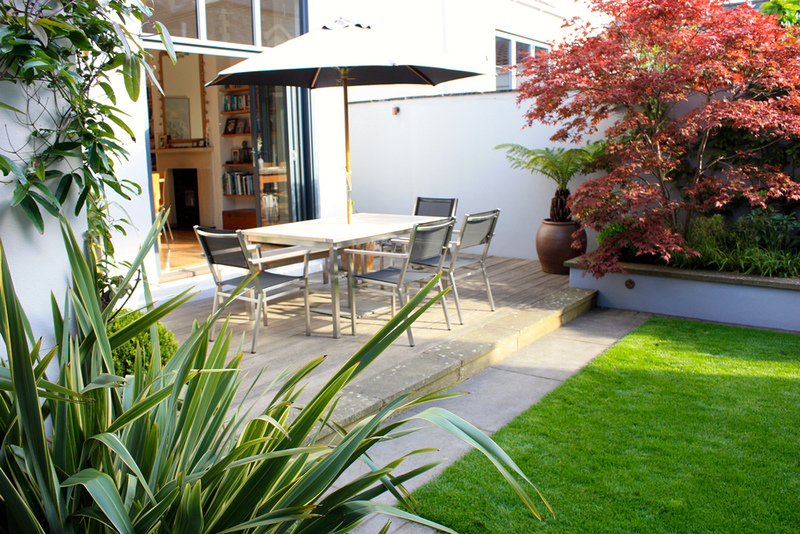 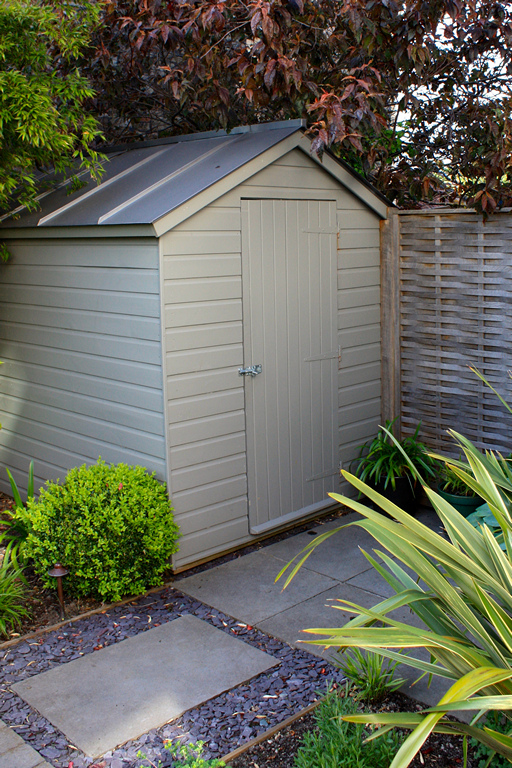 Small back garden (9×10) in Bishopston Bristol with simple clean lines and a modern feel. 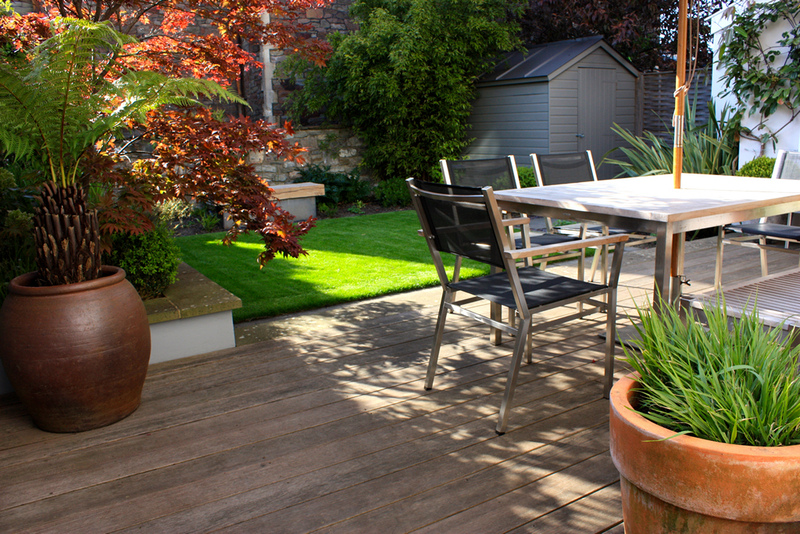 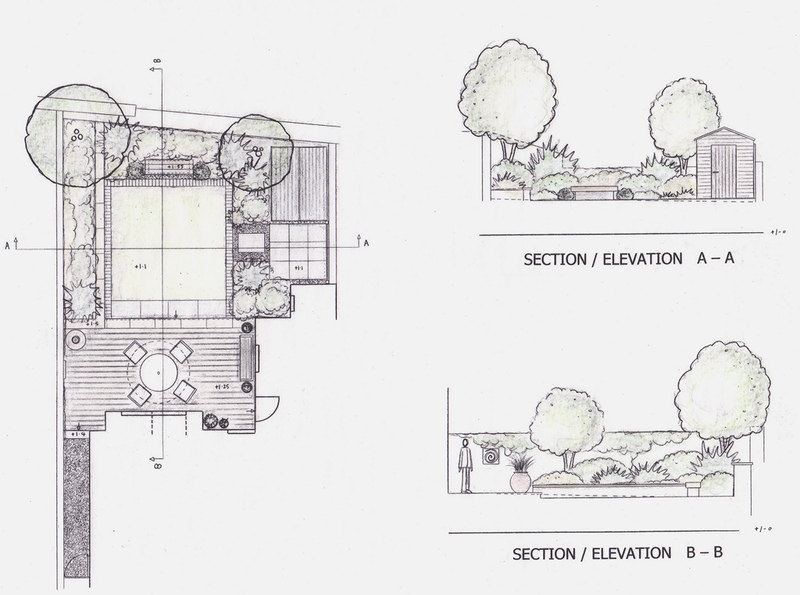 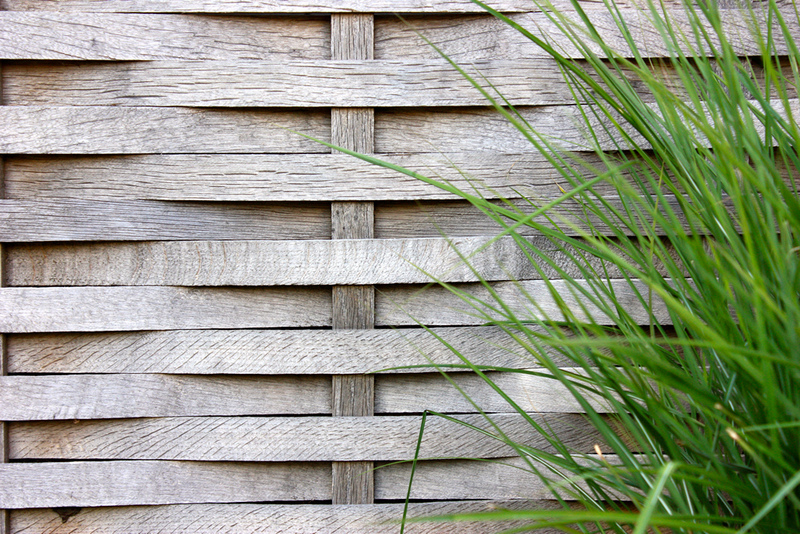 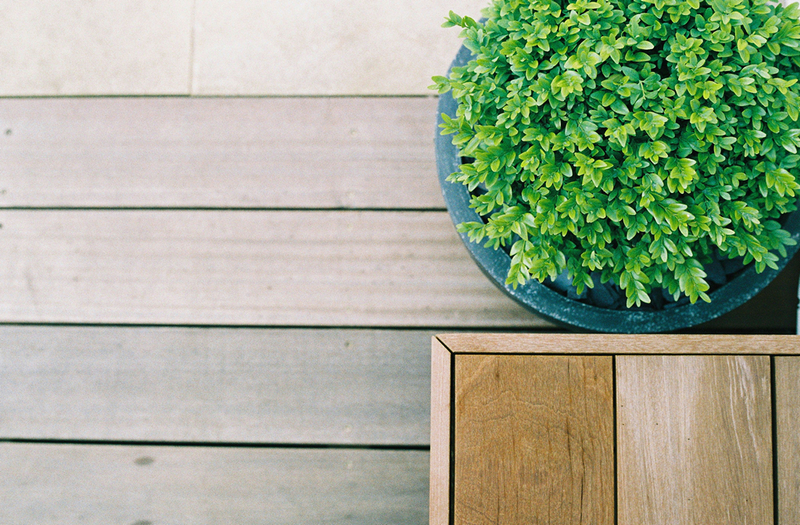 The design incorporates a hardwood deck seating area, raised planting beds, built-in seating, a bespoke zinc-roof shed, slate-edged lawn, outdoor lighting and bold architectural planting. 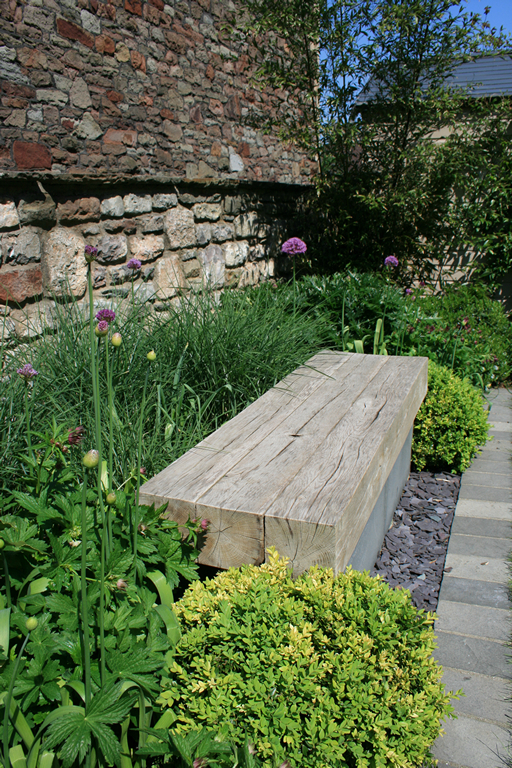 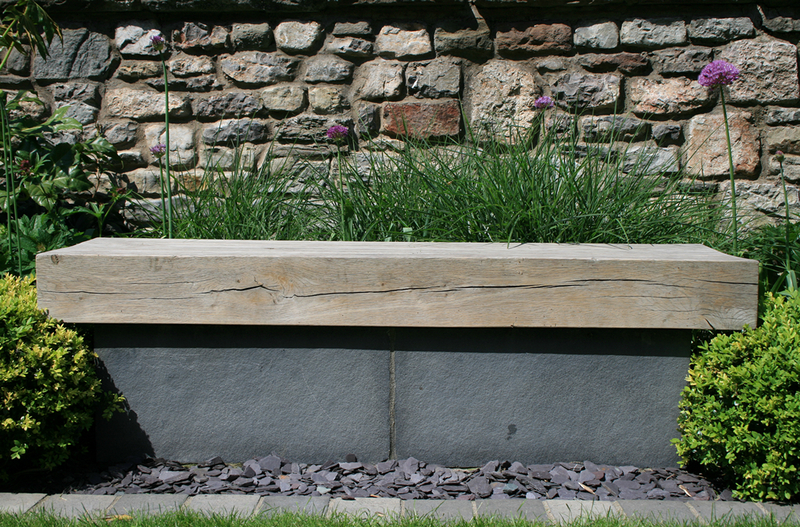 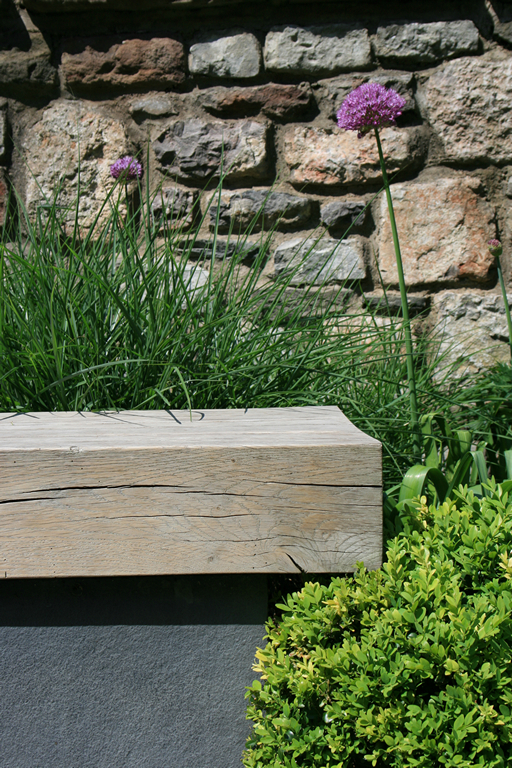 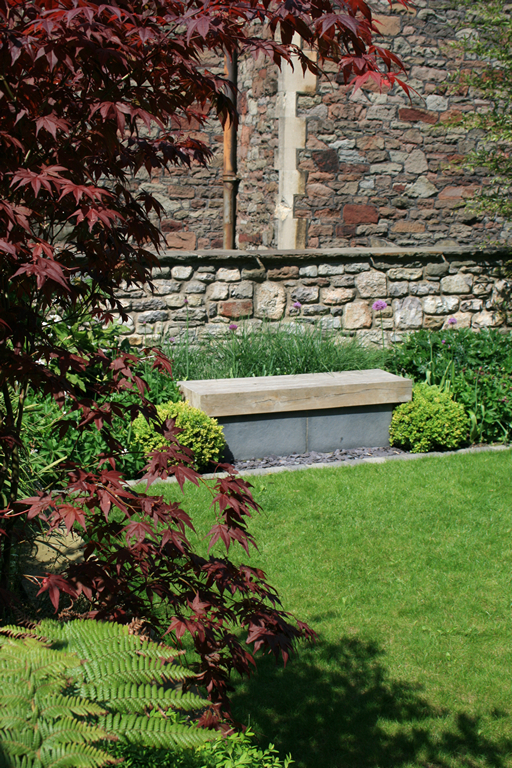 Reclaimed walling stone, grey slate and sawn york-stone paving connect the garden to the architecture of the surrounding buildings.